First thing you must know is that I am a huge mythology fan. I have always enjoyed Greek Mythology. I actually wrote this long ten page paper comparing Greek Mythology to Egyptian Mythology. I also read the books awhile ago and I am up to date with the spin-off series. 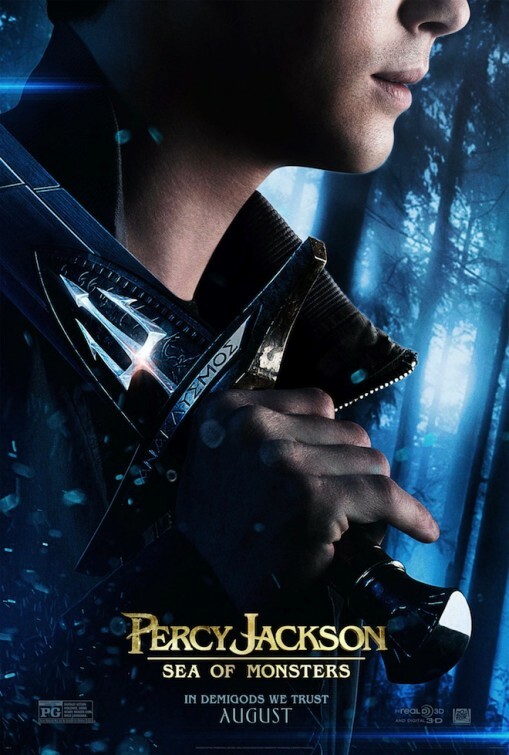 IMDB Plot Synopsis: In this retelling of Rick Riordans book, "The Sea of Monsters", Percy Jackson, accompanied by his friends Annabeth Chase, Clarisse La Rue and Tyson, his half brother, goes on a journey to the Sea of Monsters to retrieve the Golden Fleece and save Camp Half-Blood. The magical borders that protect Camp Half-Blood have been poisoned by a mysterious enemy, and unless a cure is found, the only safe haven for demigods will be destroyed. But first, Percy will discover a stunning new secret about his family--one that makes him question whether being claimed as Poseidon's son is an honor or simply a cruel joke. 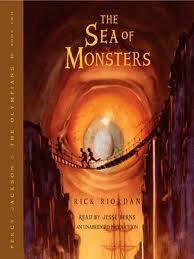 My Thoughts: I always think about the book when I am watching the movie. I thought the movie was okay. I felt that there could have been more action. The visuals were not as pleasing as they should have been in my opinion. I did see it in 2D and not 3D. I think I have become spoiled with IMAX 3D at this point in time. Clarisse (Leven Rambin) finally makes an appearance. I was slightly nervous when she was not in the first one. She is very antagonistic towards Percy appropriately however one can feel the lack of connection because she was not present in the first movie. We need to understand the depth of their background story. Percy's brother Tyson (Douglas Smith) makes his appearance. Annabeth continues to show dislike and disgust towards Tyson due to the death of her friend Thalia by the hands of Cyclops. One cannot help but to draw a parallel of how the half-bloods treat Cyclops and how people can be prejudice against a whole group due to the actions of a few. Tyson did provide some comedic lines and showed quality strength and loyalty to Percy from the beginning. 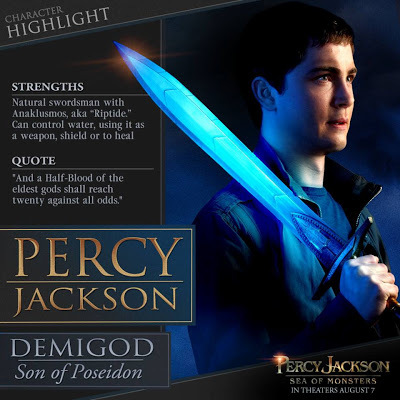 Percy, Annabeth, Grover, and Tyson go on the quest for the Golden Fleece all on their own despite Clarisse being given the job. 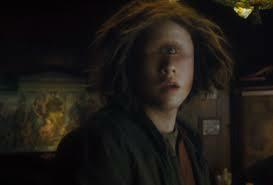 It was funny to see Grover dressed up as a woman trying to play as if he was a female Cyclops in order to keep himself alive against Polyphemus (voice by Ron Perlman). I was racking my brain to remember that voice. Thalia is resurrected at the end appropriately. There is not another half-blood from the big three.I hope they make the next book. I would love to see Nico and see how he plays into the movie series. The movie is a family friendly movie and was enjoyable but I felt as though more could have been done overall. S/N: The Hippocampus was a beautiful creature. It was a cross between a fighting fish and a horse. I did yell out Falcor when I first saw it. 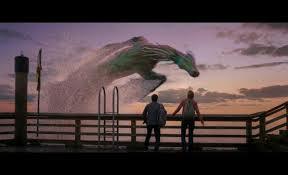 It was the Falcor of the sea if you will. I was able to speak to a fellow movie goer after the movie to get their thoughts. What movie did you just go see? What were your overall thoughts of the movie? Um, the movie was okay. It had a good story line. I would have liked more action. Um, but overall I give it a B.
I did not read the books. Did you see the previous movie? I did see the previous movie. How was the acting overall in this movie? Um, I think the acting was about the same as the first one. The actors were lame, but the story line was really good. The mythical aspect of it was interesting, but the actors were so-so. Would you say that you are pretty knowledgeable about mythology? So-so. I am not that knowledgeable about it. I know some things. But I am not that knowledgeable. If they do make the third one, what would you hope to see in the third installment? I am not sure what the third installment is but I hope to see more action, better acting, and just a continuation of the story line.